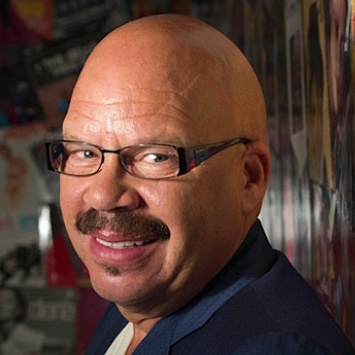 So, today is a monumental day in “Tom Joyner Morning Show” history — it’s the day we return to the airwaves in Chicago on Soul 106.3 FM. It’s monumental for us for a lot of reasons. One, Chicago is one of our most crucial markets and a major strength for us as nationally syndicated show. Two, getting us back on the air in Chicago was a nationwide/community effort and demonstrated what we can do when we work together. And three, because we learned that we can never take anything for granted. Our listeners cannot assume that we will be on forever, and neither can we. We both have to take steps to make sure we’re able to do what we do every morning, and it’s not a one-way street. We’re here to entertain, empower and super-serve our audience. Our audience, if they want us to continue to do that, has to support us and our sponsors. And we have to be able to prove that support to our sponsors. If that support goes away, so do we. In this cold, harsh world, like the song says, “ain’t nothing going on but the rent.” No matter how much you love us, how much you need us or how much you want us, there’s “no romance with no finance.” And no matter how much we love you, need you and want you back … that’s just the plain old truth. Not that we’re knocking the love by any stretch. When we were off the air in Chicago, we heard from you, and we’re hearing from you now that we’re coming back too: “It's raining in Chicago this morning, but there is sunshine in my heart because you guys will be on the airwaves this Wednesday,” one woman’s text message said.” “You have made me and my husband glad to get up in the morning; we were lost without you!” Aside from that fact that she should have had other ways to make her husband glad to get up in the morning, her text was representative of so many that we got once we announced our big comeback. So many of you reinforced how we are a part of your daily routine. Others took it further, even claiming that they’d begun to fall into a depression while we were gone, and some said that they’d stopped listening to morning radio altogether! There’s a lesson to be learned here that makes the story of our return more than a Chicago story. It’s really a story about us. Check it out. Like you, those of us in the radio business have been hit hard by the economic turmoil this country is in. Like many of you, we were caught off-guard when we were terminated by a company, and, like most of you, we have found out bouncing back means doing business a new way in new day. Complaining about being wronged is not the answer. The answer was taking action, getting sharper, getting smarter and getting better. Radio has changed drastically over the last 10 years, and pretending that it hasn’t is naïve. Your industry has probably changed too, and, like us, even though you knew it was happening, you hoped you could keep going along the same way, even though it was a different day. In our case, being on in Chicago was so important to us that we stepped waaaay out there and used an innovative method to get back on the radio there. Our financial investment into radio station we’re heard on, our hands-on involvement with the station and our daily presence in the community could become a template for us having a voice in even more markets, giving African-Americans more of a choice of what they tune in to every morning. Yes, we’re like the people that put it all on the line, sell the car, mortgage the house and borrow from the kids’ college fund because we believe so strongly in what we’re doing. We’re like the people who start a business and ask all their family and friends to do what they can to help them stay afloat. And we’re like the people who will work as hard as they can to make their business a success because they believe in our product, they believe in their customers, and they believe in the community where they do business. They don’t just set up shop and leave without caring about what happens when they leave for the day. Our product is black radio; our customers are our audience and our community is black America.